While most of the news surrounding Blac Chyna is in relation to her newest relationship with fiancé Rob Kardashian, we’re bringing you information on her 4-year-old son with Tyga, King Cairo. Well, kind of. There’s a bit of a joke here: King Cairo doesn’t make music, at least not yet. And he hasn’t been in too many videos aside from the odd ones on SnapChat. However, given that his parents are involved with both music, videos and photography, there’s a good chance everyone will know about King Cairo more in the future. Perhaps we will see him appear in the media or as a performer himself! At only four years old, King Cairo is already gaining attention of being the progeny of rapper Tyga and model, Black Chyna. He’s been seen in public with both parents and recently, he celebrated a birthday with some high valued parties catered by both parents. By all accounts, King Cairo’s birthday is October 16, 2012, making him 4 years old at present. King Cairo’s father is Michael Ray Stevenson. Don’t know him? You might know him better by his stage name, Tyga, taken from the acronym Thank You God Always. Born in Gardena, California in 1989 of mixed Vietnamese and Jamaican ancestry, Tyga hit the hip-hop charts in 2008 with his single “Coconut Juice.” He worked with many famous rappers and pop stars along the way, including Whiz Khalifa, Justin Bieber and Kanye West. He’s also had his own reality TV show, Kingin’ with Tyga, appear on MTV over two seasons in 2015 and 2016. King Cairo’s mother is Angela Renée White, better known to the world as Blac Chyna. She was born in Washington DC, but moved to Maryland where she was raised. 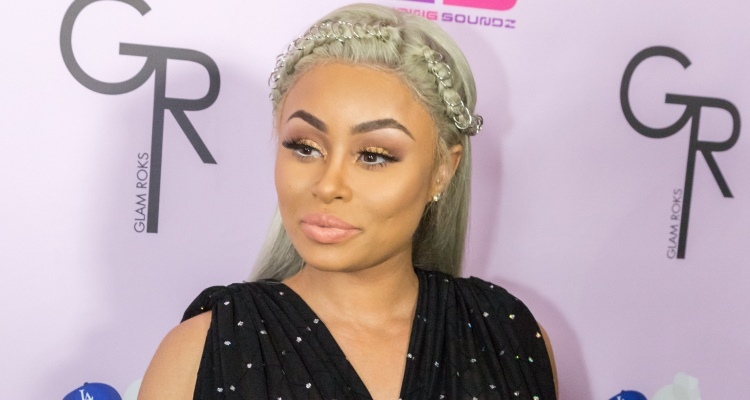 Beginning as exotic dancer before switching to that of an urban model, Black Chyna gained prominence by appearing in several hip-hop music videos and on numerous magazine covers. What’s more interesting though is that Blac Chyna has become a successful entrepreneur. A makeup artist by profession—she graduated from JLS Professional Makeup Artist School in 2013—Black Chyna has gone onto both market her own “88fin” line of clothes online and open her own beauty bars that specialize in such beauty treatments as eyebrow tints, makeup and body waxes. Tyga and Blac Chyna both had tattoos of King Cairo done when he was born. Both Tyga and Blac Chyna came together back in 2011 and were at one time engaged. However, they’ve since separated. Tyga has since purchased a $6.5 million home in Calabasas, California and was in a relationship with reality TV star, Kyline Jenner, who is also the sister of Rob Kardashian, Blac Chyna’s current fiance. How rich is this kid? Good question, though one that’s not easy to answer since King Cairo’s net worth is completely dependent on what his parents earn. Since he’s Tyga’s Son, King Cairo is part of his dad’s $10 million estate, taken from Tyga’s mega-selling hip-hop albums. And since he’s Black Chyna’s son, King Cairo is part of his mom’s $500,000.00 beauty school and clothing line empire. Needless to say, many weren’t surprised when both parents threw lavish, over-the-top birthday parties for their young son. Tyga threw his son a party, complete with trampoline and Ferris wheel and Blac Chyna gave King Cairo a party with a Ferrari theme. For more Kind Cairo pics, and pics of Blac Chyna and Rob Kardashian’s newest arrival, Dream, check out her Instagram page (@blacchyna).